Low Diesel is the amazing hybrid of a Lowryder #2 and Diesel. 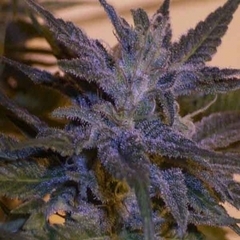 The characteristic scent and taste of the Diesel variety has been adopted by the Low Diesel which makes this autoflowering variety very interesting for Diesel-lovers. 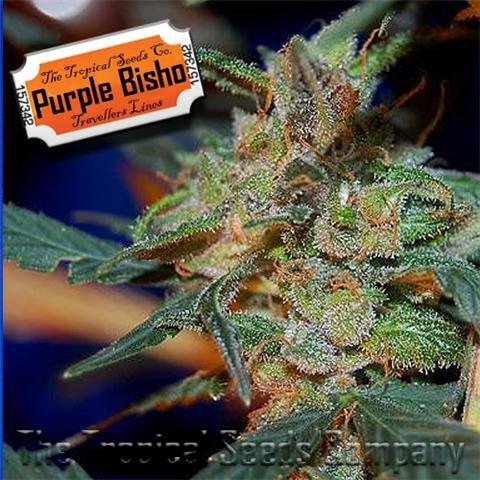 Diesel is a sativa/indica variety firmly established in the world of cannabis. 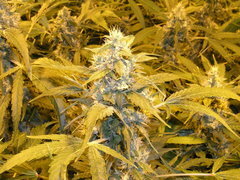 The typical Diesel taste and scent is loved by growers and smokers around the world. Luckily the Diesel pairs beautifully with the Lowryder #2, creating the hybrid Low Diesel as a result. Like most autoflowering varieties the Low Diesel can handle a bit of abuse, so the Low Diesel is an autoflowering variety which is easy to grow. One thing you need to take into account is the strong scent. Especially during the flowering period the Low Diesel is heavily scented. 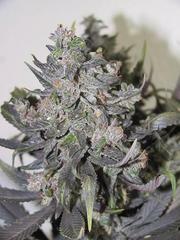 Low Diesel's taste is sweet (a bit lemony) strong and lingers for a while after inhaling. The effect of the Low Diesel is relaxed, yet intense and uplifting. Low Diesel is 100% autoflowering and will complete her life cycle in 60 - 65 days. From seed to harvest!